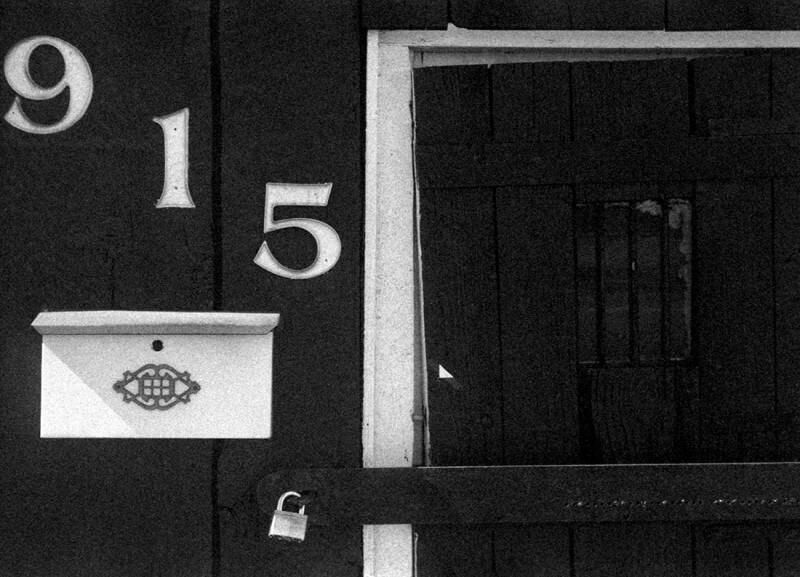 I took several rolls of Kodak Plus-X 125 (expired in 2003) with me on Expired Film Day, part of a bag given to me by a new film friend — some of which was added to the giveaway pool, too. 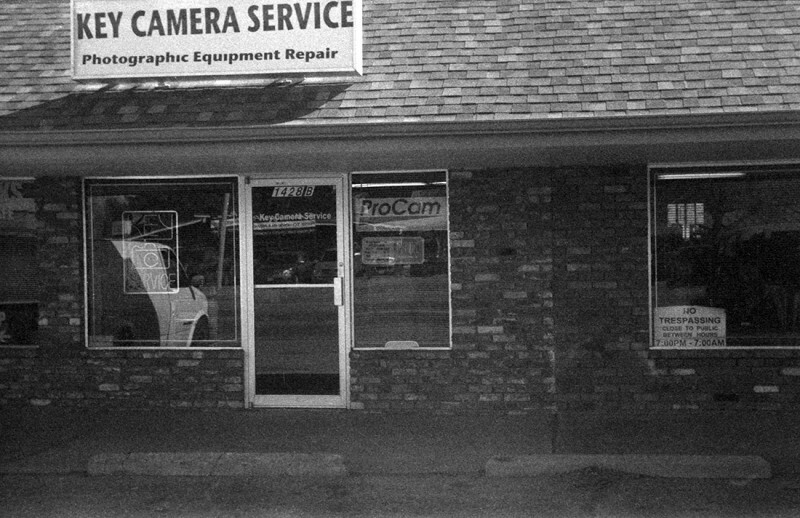 My first stop on March 15 was at Key Camera in Longmont, Colo., where Dave Feely had my Leica IIIc ready to go. 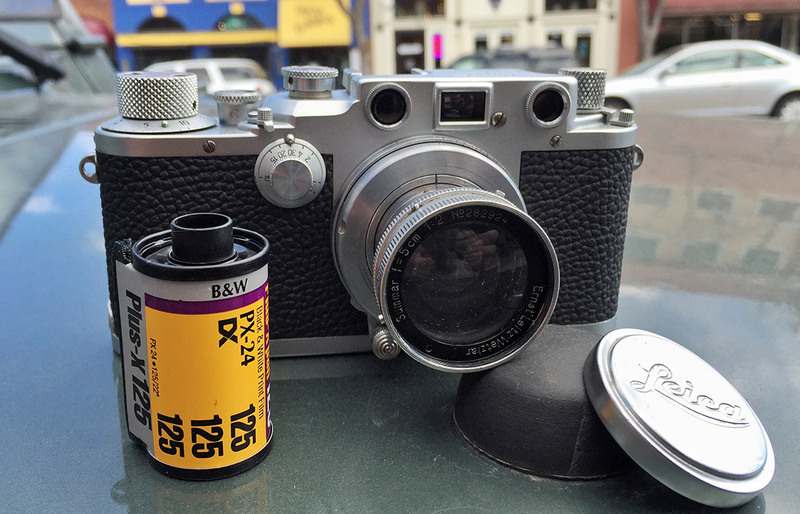 I trimmed the leader of a roll of Plus-X in advance so the Leica could get in on the fun. 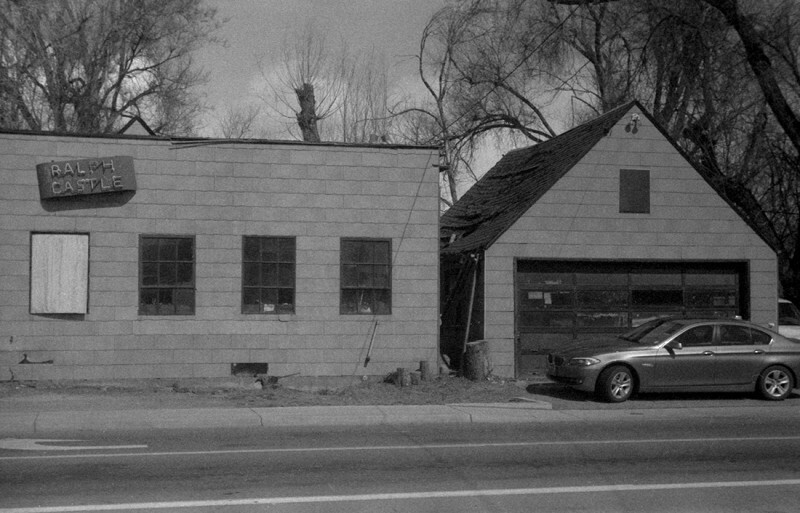 These pictures are all from the historic heart of Longmont. And the Leica worked just great, netting me several comments and at least a half dozen bewildered looks. I will need to work to understand framing with the Leica, as you can see. The viewfinder doesn’t seem to be exactly calibrated to match a frame with the 50mm lens — I’d guess it shows an area closer to the field of view of a 40mm or 45mm lens. That will likely take some getting-used-to, as I habitually crop in-camera as much as I can. Mike, the benefactor of the expired film, warned me in advance that he’d had trouble getting decent results with the batch. 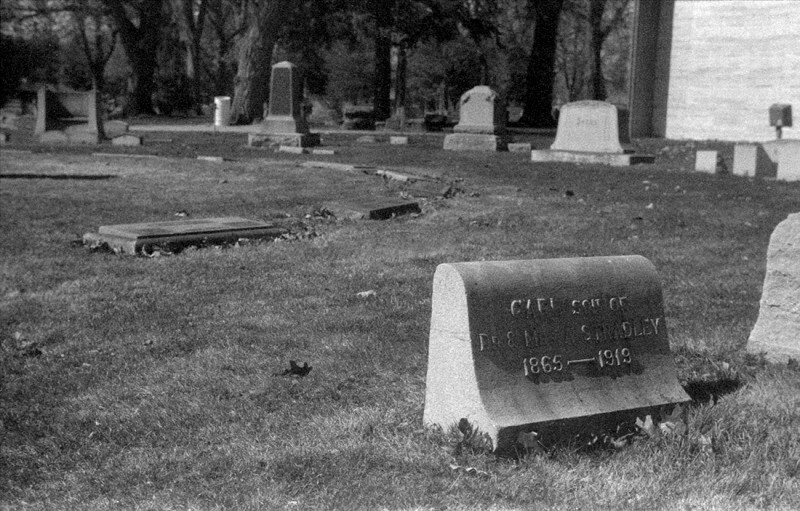 Moreover, it was a mixed batch — despite the fact that most of the rolls expired in the same month and year, they’d come from two different sources, and he suspected one source was harder on the film than the other. I decided to rate it at ASA 80 for purposes of exposure, and then push it in development. As you’ll see in a day or two, I did a second roll in a different camera with the same rating and developing. 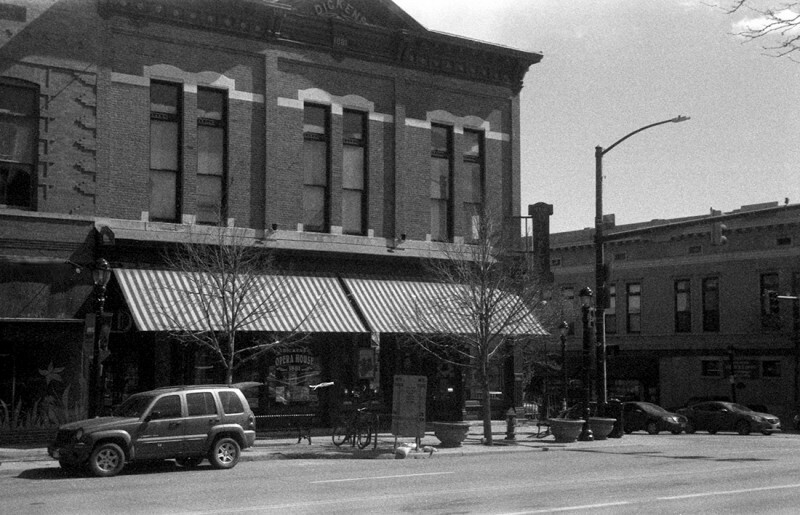 I developed the film in Kodak HC-110 at Dilution H (1:63) at 68°F for 14 minutes and 30 seconds. 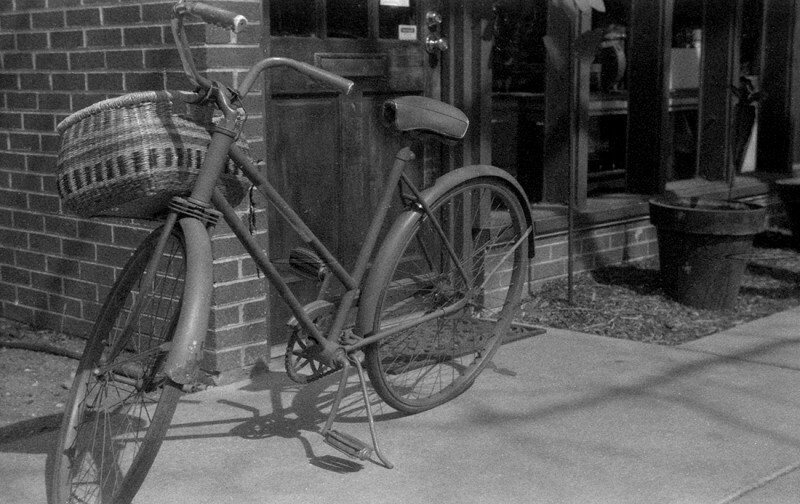 The results were dark — I probably could’ve pushed the film a bit more. At least another whole stop. Nevertheless, the results were useable. 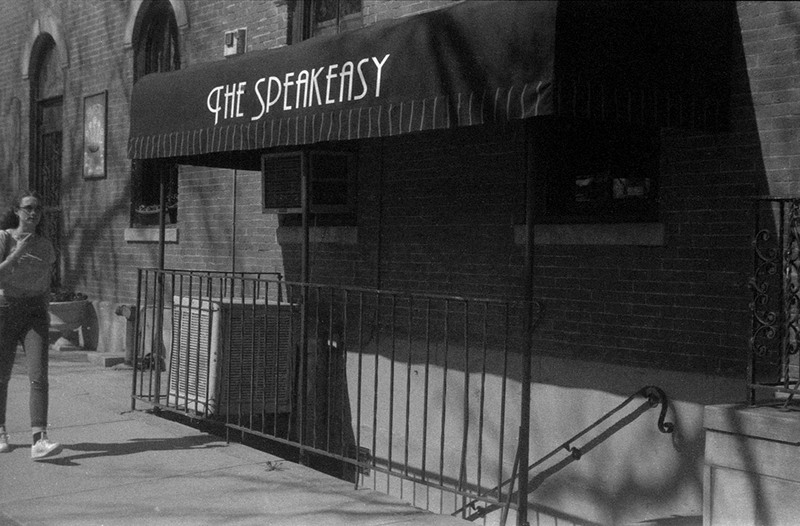 I think they would be difficult to get a great print from, but I was able to mostly rescue them by bringing up the exposure just a little bit more after scanning. 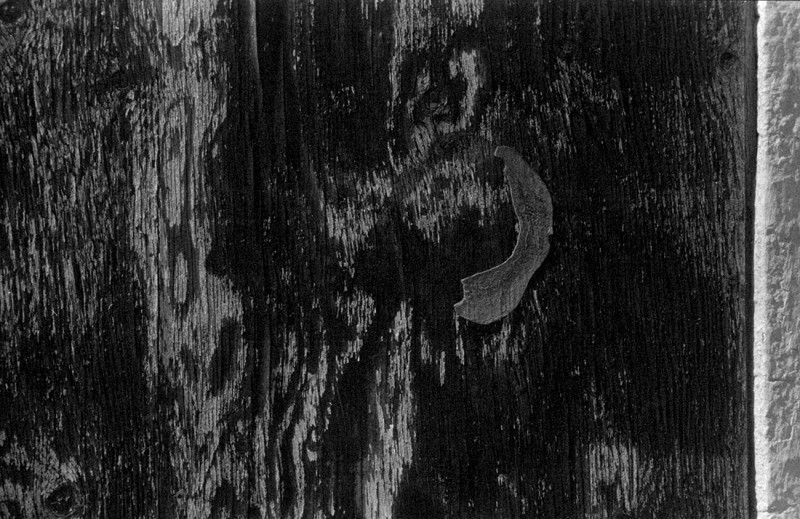 This increased the grain a bit, but the scans were grainy even without any sharpness applied (I never did apply any, just to be clear). The grain, still, isn’t much worse than my past experiences with Plus-X, and maintains the characteristic evenness I love this emulsion for. I didn’t know the condition of the lens, but the results look very sharp, and the out-of-focus areas are very pleasantly blurred. The bulk of the photos were taken in bright sun at 1/200 second and f/5.6 or f/8 (or as close to those as I could get — the Leica Summar lens features some aperture markings that aren’t very similar to what we’re all used to today). On the whole, a very satisfactory roll of film. I loaded some fresh Plus-X (well, technically it expired in 2014, but I’ve had in the fridge since new and I’m not considering it Expired Film Day film) into the Leica afterwards as the first test roll for my eventual review. Next up: The Agfa Silette and another roll of Plus-X 125.